Factory high strength metal gasket from the Mk4 VR6 12V (AFP) engine. A good upgrade for the earlier AAA VR6 motors as it increases compression from 10:1 to approximately 10.5:1. Made in Germany. 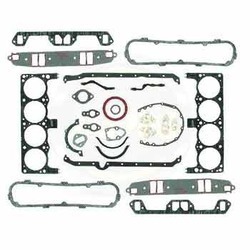 This kit includes the O-rings, seals, and gaskets needed when repairing the cylinder head and block. We offer a complete range of Car Gaskets. These gaskets are highly durable and sturdy, which are available in OEM and after market specifications at very economical price. These are highly durable, have high resistance against wears and tears, corrosion and chemicals. Therefore, these can operate even under the harsh working conditions.